This week I want to share some wonderful stories and experiences I read from Clark Howard’s new book, Living Large for the Long Haul. In it, he shares the stories of over 50 different people from all socio-economic backgrounds who have improved their finances even through The Great Recession. 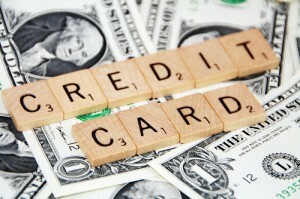 Many readers have expressed interest in establish or improving their credit score. Whether you are on your own financially for the first time or you’re getting used to the American credit system as an immigrant, you’ll find Patricia’s story helpful and encouraging. Coming to the United States in 1990, Patricia found herself bewildered by the new financial system, which included 401(k)s and credit scores. She started off with small goals, such as building up and some savings and she learned how to get bargains on what she bought. From there, she got a credit card that she paid off every month, slowly establishing a credit history. She also started investing for retirement and she eventually got a mortgage, five years after coming into this country. Get a Secured Credit Card: As the name implies these credit cards are opened when you deposit a certain amount of money as collateral. I suggest looking at local credit unions or small banks to get you started as you’re more likely to get a better deal with them. Double check all the terms before signing up. You don’t want a card that will hit you with a ton of small fees. Stay Away from Store Credit Cards: While many credit cards are notoriously easy to open, they are just as known to have some pretty bad interest rates and fees. That can hurt you if you get hit behind on payments due to the extra costs of having the card. Become Familiar with Your Local Credit Union or Bank: With a smaller financial institution, you can get more assistance and face time to help you avoid the pitfalls of having a card. Pay off Your Balance in Full: Since 35% of your credit score is based on your payment history, make sure you only use your card on small charges that you can afford to pay off each month. When establishing credit, make sure you’re thinking long term. In time, you can build a solid credit history and still be able to keep your money in the right spot. If you’re looking for a free option on checking your credit reports, you can use Annual Credit Report. You’re entitled to review all 3 of your reports for free. This is a completely free site – no trial and no membership sign-up. I want to mention, though, while you can get your credit reports through Annual Credit Report, you can not get your credit score. You can use free option like Credit Sesame to get a credit score using data from Experian updated monthly. The free membership (no credit card required) allows you to see your credit score and you can also get suggestions on ways you can save money on your finances, like mortgages or credit cards. I wrote a review on Credit Sesame if you’re interested in how it works. How many of you are trying to establish credit right now? What have you found incredibly useful for you? What obstacles have you had to face?